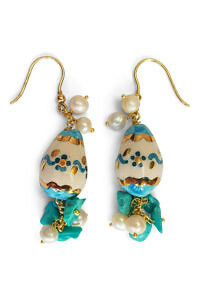 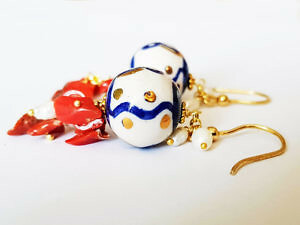 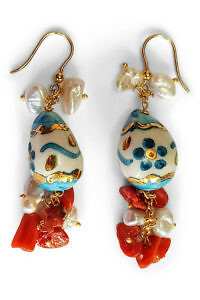 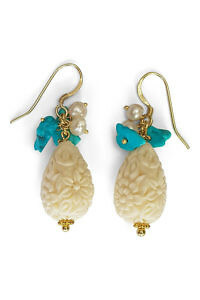 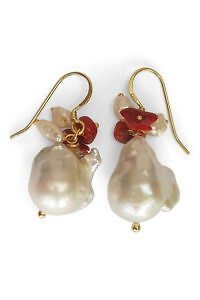 Resort styled pendant earrings SORRENTO in gold plated aluminium (nickel-free) with painted eggs, corals and pearls. 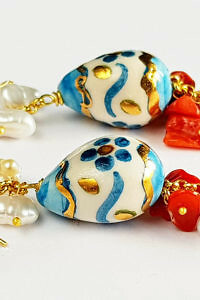 The ivory eggs are beautifully painted with abstract patterns in blue and gold. 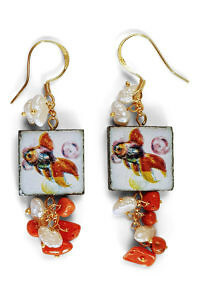 The 6 cm long earrings are a great accessory for casual riviera style looks. 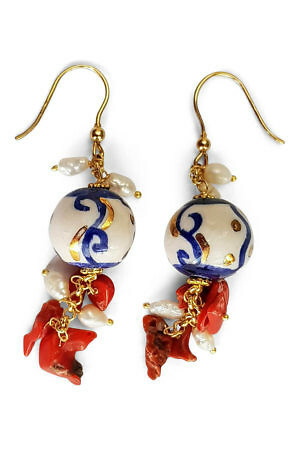 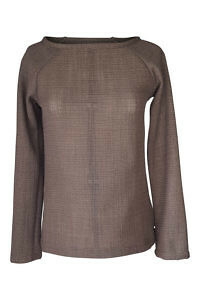 Hand made in Sicily. 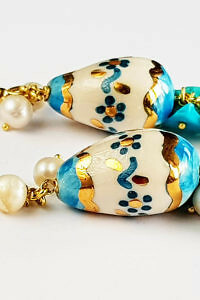 The SPRING FLOWER collection was inspired by spring time on the picturesque Italian island of Procida with pastel colored houses and colorful boats. 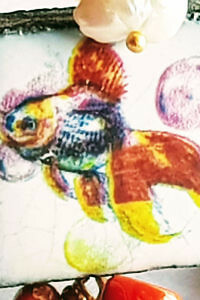 The collection mirrors the joy of life of a spring day on this beautiful island: clear white like the reflections on the water, deep blue like the deep sea, coral red like the red flowers and coral reefs, bright yellow like the lemon trees and mandarine yellow like the facades of the houses. 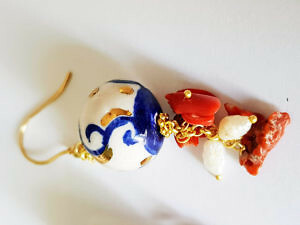 Blue, Coral Red, Ivory, Gold. 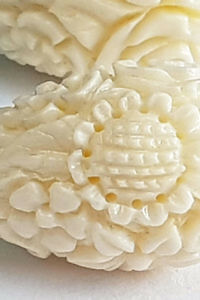 One size – 6 cm.